When I first started taking my skincare seriously, I wanted to try different products to see what suited me best, that´s when I came across Lush, I had been hearing about it for a while so I decided to try it. 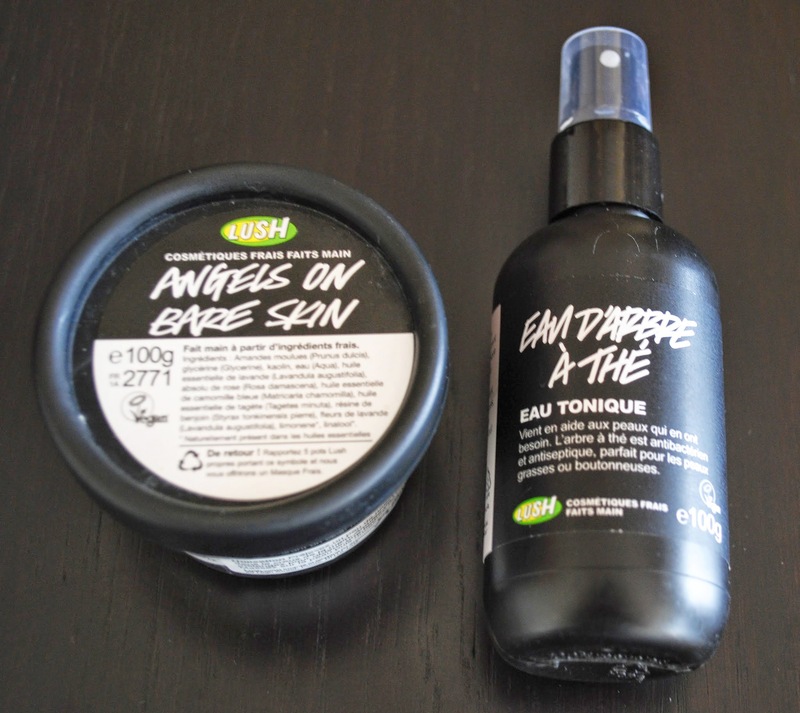 Since I don´t have a Lush near me anymore I have to order it online and then had I found products that were really working for me so I stopped using it for a while but last month when I went to Paris I saw a Lush store and I just had to go in and pick up some of my favourites. I bought a cleanser and a toner I wanted to buy the face masks but since you have to keep them in the fridge that wasn´t an option since a few days later I was flying back home. - Angels on Bare Skin Cleanser- I love this cleanser, I think I must have bought 3 tubs of this. It is very gentle but also gently exfoliates and leaves the skin feeling cleansed, smooth and nourished. I love to use this on bad skin days because it helps to calm my skin. - Tea Tree Toner- This was the first time I used and I have to say I really like it. I think it´s great for people who struggle with bad skin, acne, because tea tree is anti-bacterial so it can help to keep away the bacteria than can cause spots. It is also antiseptic and helps to keep skin clean and clear. 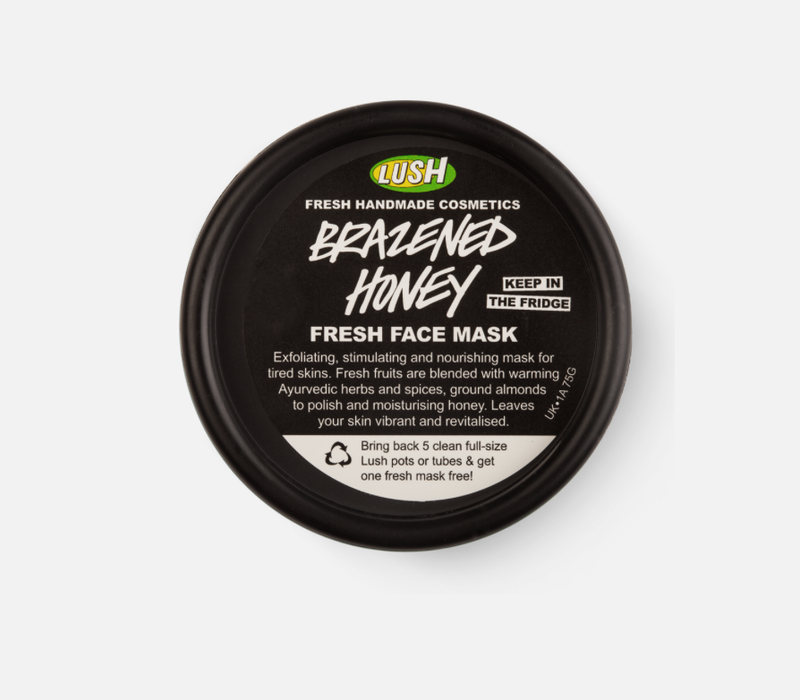 - Brazed Honey Fresh Face Mask- This mask is great when your skin is looking dull and tired, it just brightens,nourishes and exfoliate the skin. I just love it and really miss using it. 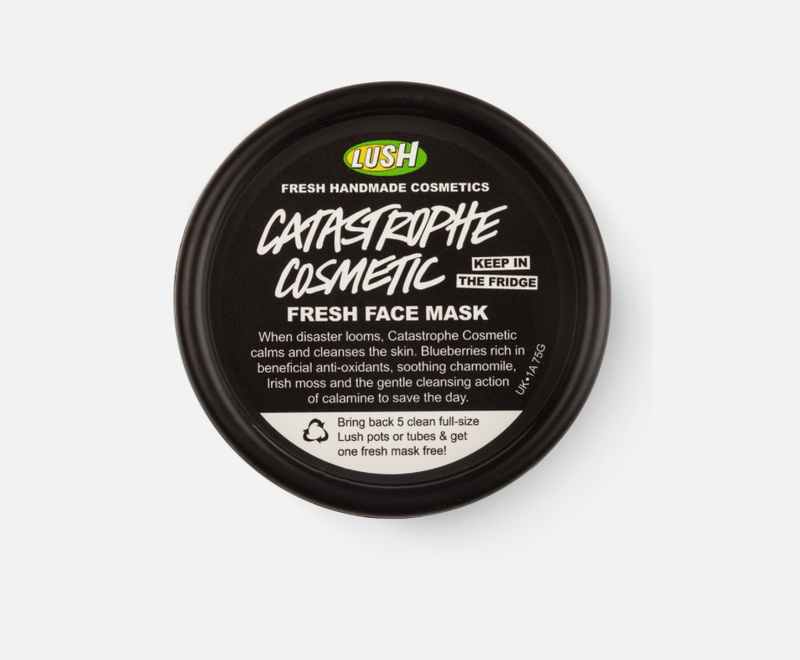 - Catastrophe Cosmetic Fresh Face Mask- This mask is great for when you are breaking out or are having a bad skin day the mask will help to calm down the skin. This was my saviour when my skin wasnt´t looking it´s best. I love it and again I really miss it! I might have to order them again. Both masks I bought countless times, so definitely recommend it. I really love Lush and for budget skincare I think it´s one of the best. Do you like Lush? Have you used any of the products that I mention? Or do you have any recommendations? Let me know in the comments. Disclaimer- The images of the face masks were taken from the lush website.